Judy DaSilva is a key player in Grassy Narrow's decade-long logging blockadeA First Nations rights activist from Grassy Narrows is getting international recognition. Judy DaSilva received the Michael Sattler Peace Prize from the German Mennonite Peace Committee this week. 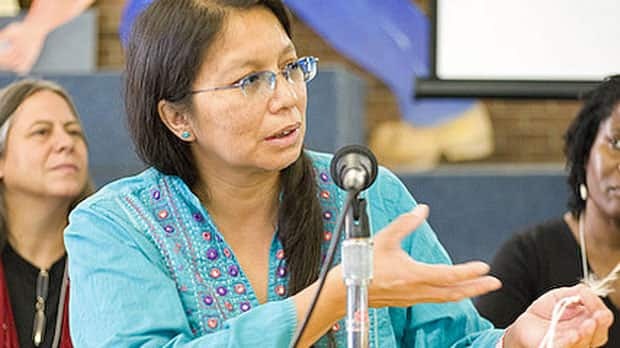 In a news release Lorens Theissen van Esch of the German Mennonite Peace Committee said: "We want to award the prize to Judy DaSilva in order to honour the nonviolent resistance of the Grassy Narrows First Nation against the destruction of nature and for the preservation of their Indigenous culture. "Comment: For more on Native honors, see Muscogee Creek Codetalker Medal and 2013 NAMMY Winners.